Whoa! Can you believe it is December 1st already? When did that happen? I didn’t realize it was approaching us so quickly until late Tuesday night. Then I remembered that I needed to get started on an advent calendar, so that is what I did until about 1130 last night. 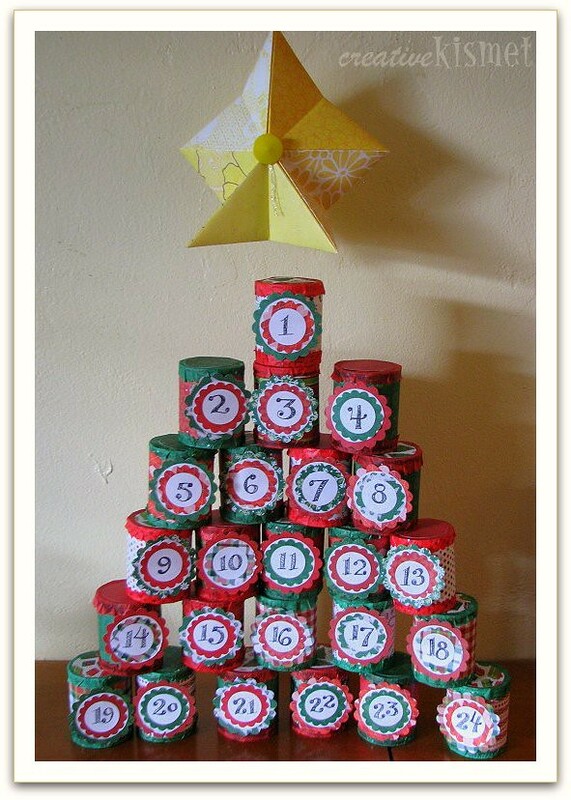 I can’t find the advent calendar that I made two years ago AND I had tons of tp rolls that I thought I’d use up. 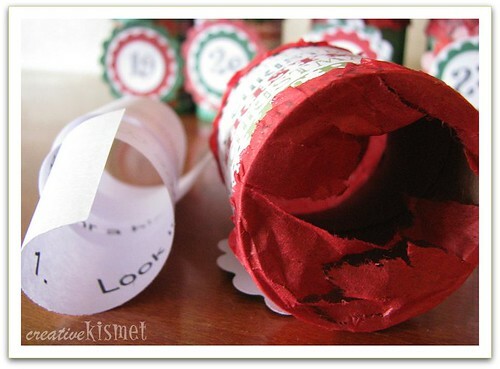 I cut a bunch of tp rolls in half and wrapped them in holiday scrapbook paper. Then I wrapped the ends with tissue paper so the boys could poke their fingers in to grab the little paper inside. *going to see the Christmas lights. *plus lots of opportunities to give to others. It will be so much fun! This is one of my favorite things about December! 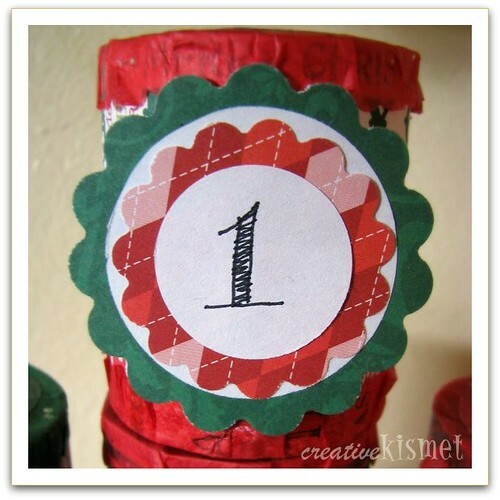 This entry was posted in Holiday Hoopla, Recycle,Reduce,Reuse. Bookmark the permalink. Awww…what a great Mommy, working late into the night to make sure this is ready for your boys! We are going to do something similar (using an Advent paper chain), but I’m not starting until Sunday…taking some liberties with the calendar for as long as my little ones don’t know any better! Happy Advent! What a special way to give meaning to the season, in an exciting way for your kids. I’m inspired!